1. 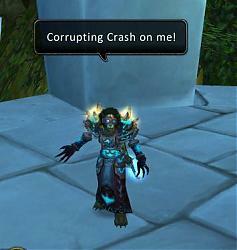 Sends in say/yell chat important phrases in the raid, such as "Corrupting Crash on me! ", if your bossmod hasn't this option. 3. Lightweight: only 3 Kb, doesn't track combatlog. 3. 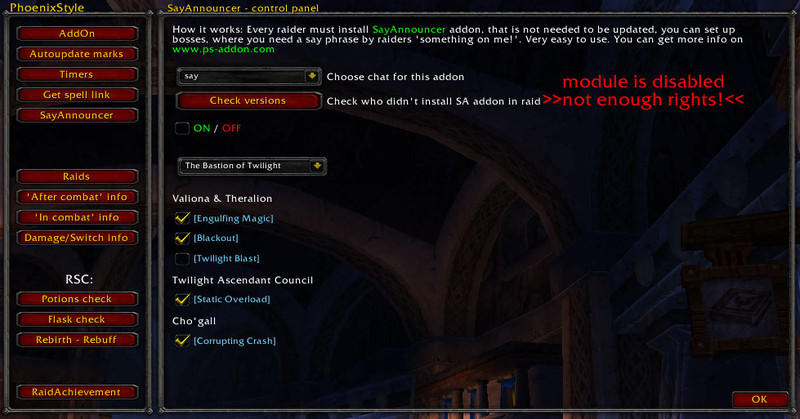 If you use PhoenixStyle addon - you don't need this addon, just enable SayAnnouncer module, you will announce phrases without promote too.